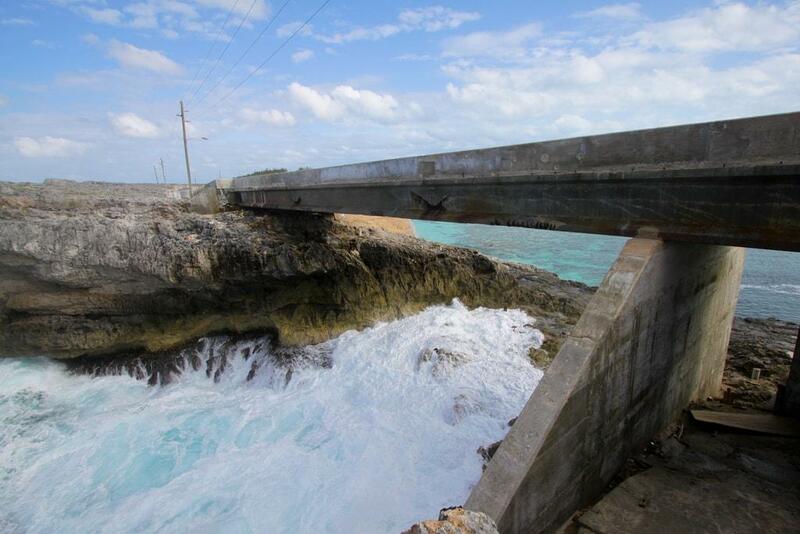 Do you want to know more about Glass Window Bridge near North Eleuthera in the Central Bahamas? 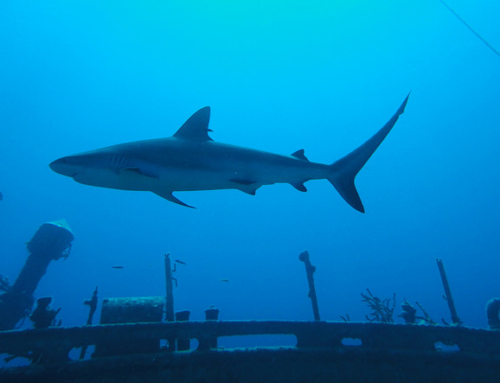 Here’s a couple of stories that will give you more information about one of nature’s true wonders and get a visual idea of its magnificent panoramic view. The first story is about a kiting session that ended with a landing very close to the bridge and it also contains an interesting history of Glass Window Bridge with historical pictures and maps. As the author of the forum post says, it’s “a short story about how and why I placed myself into this extraordinary life threatening situation and how I managed to get out of it.” The first part of the story gives also some background on Glass Window Bridge and shares some interesting facts. For example, did you know that the glass window arch – before it fell into the se – was pictured in several paintings? 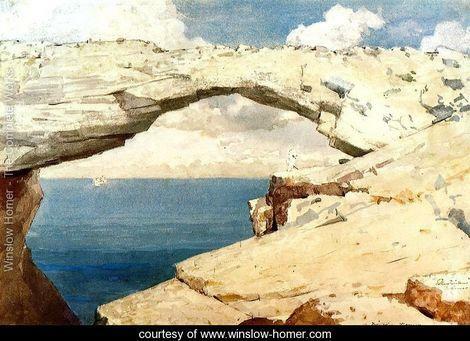 Winslow Homer painted Glass Windows arch during his Bahamian sojourn and, according to some sources, he was responsible for the name given the viewing pane aspect of his artistic rendering (see picture below). The second part of the post deals with landing a kite and exiting the water in this dangerous place. The second story is actually a video taken by a couple of young sailors who are traveling the world with their sailboat named curiosity. 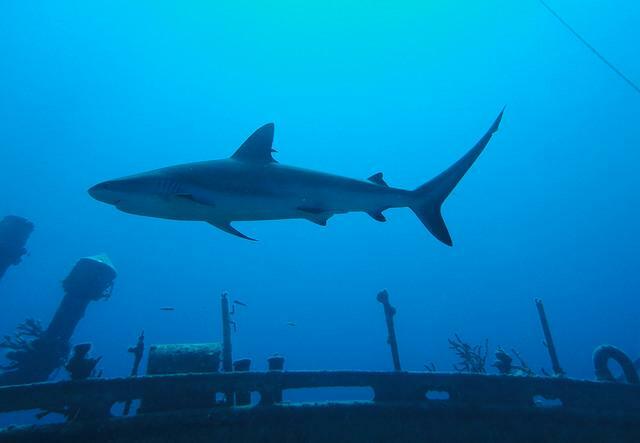 During one of their explorations on Eleuthera they have visited the Glass Window Bridge and the nearby attraction Queens Bath.